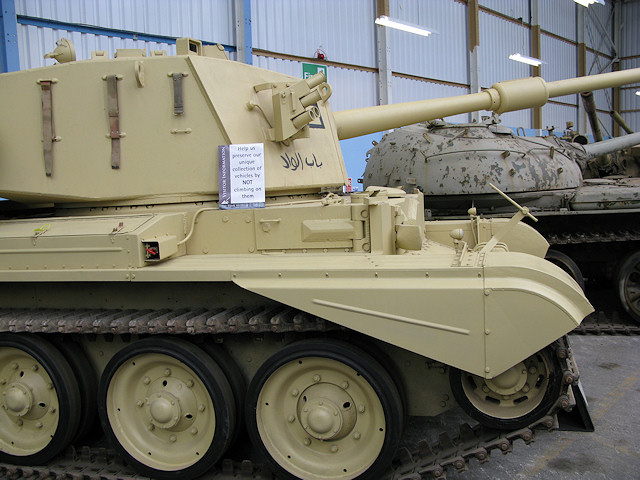 By the fall of the 1940s, British tanks were the Centurion and the Comet, both armed with the wartime 17 pdr, but the 20 pdr was about to enter service. At the same time, the Army reserve Territorial units and their armored corp branch needed a new tank. A compromise was achieved by taking some Cromwells already in service in this unit, and armed them with a 20 pdr wrapped into a new tailor-made turret. The result was called FV4101 Cromwell Heavy AT Gun or FV4101 Tank Medium (Mk.VII mod.B), Charioteer by the Royal Ordnance. 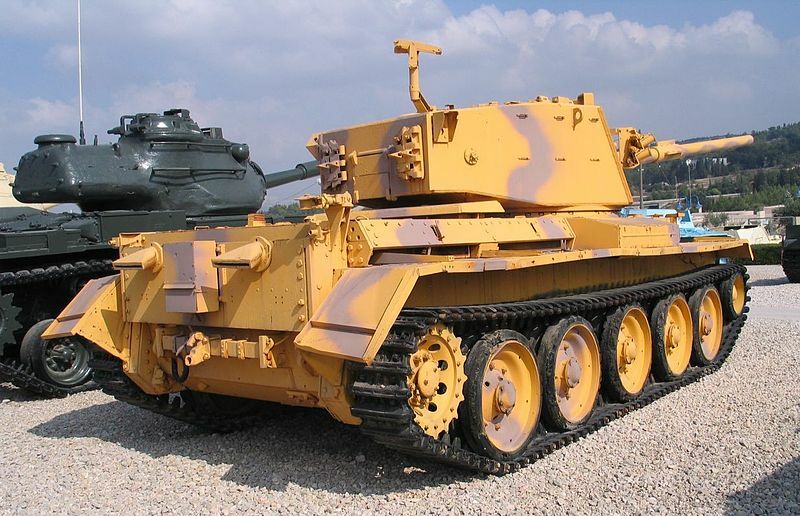 Basically, the FV4101 was a Cromwell tank, with the same chassis, drivetrain, engine, transmission and mechanical parts. But Robinson and Kershaw Ltd at their works in Dukinfield (Cheshire) responsible for the conversion, chose to create a brand new turret which would be adapted to the new, much longer 20 pdr gun. This was achieved by creating a long but narrow turret (mirroring the late German experimental turrets) to offer a minimal target. The internal space allowed nevertheless some room for the recoil, but there was no space left for a three-man crew. The gunner was placed at the left and commander at the right. In addition the turret flanks were slightly sloped but lightly armored as it was believed the range of the new gun far exceeded the gunnery range of Soviet tanks at the time. The turret was equipped also with smoke grenade launchers. The conversion was achieved in 1951-52 at Robinson and Kershaw Ltd but exact numbers are difficult to pinpoint. Factory records gave a total of only 200, while the Finnish Defence Forces sale of used equipment states some 441 vehicles were converted. Six vehicles survived and are on display today. 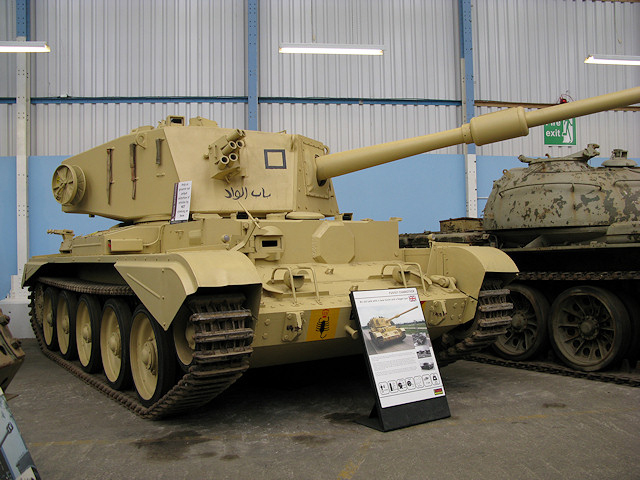 One at the Heeresgeschichtliches Museum in Vienna, another in Parola tank museum and standing at the main entrance of the Army Academy in Lappeenranta (both in Finland), one at Yad la-Shiryon Museum in Latrun and one at Bovington. The Army Territorial reserve armored corp used the Charioteer for a very short time. Between 1954 and 1960, many were sold to foreign armies at low prices (see after) and the British ones were in reserve by the 1960s. The Österreichisches Bundesheer purchased 56 of these and kept them in service until the early 1960s. 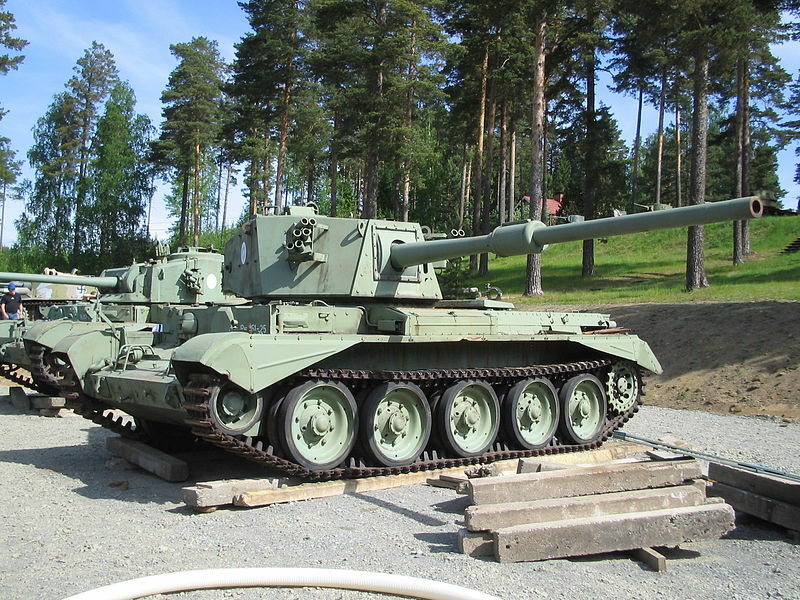 The Finnish Army took delivery of 38 “Charioteer Mk.VII Mod.B” kept in service until 1979. 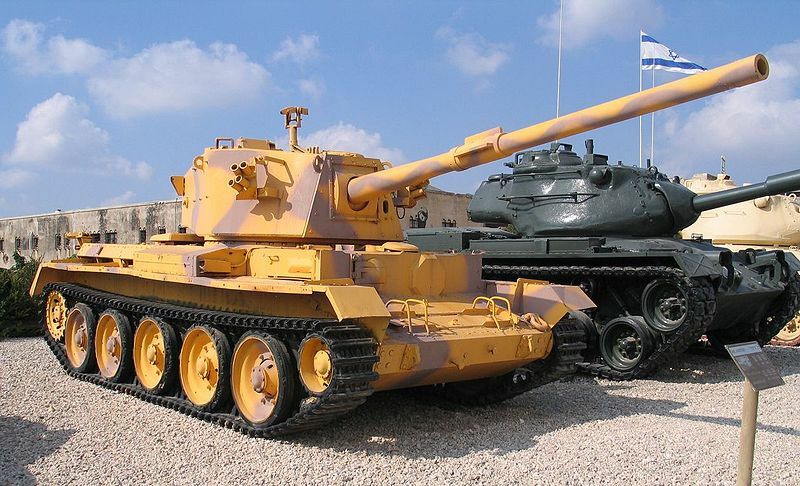 The Royal Jordanian Army took delivery of 24 vehicles, given the 3rd Tanks Regiment in 1954, and later resold to Lebanon. 43 vehicles were obtained in the 1960s and passed on in 1976 to warring factions, like the Arab army, South Lebanese Forces, and “Tigers Militia”. All saw heavy action in and around Beyrouth until 1993 for some. Some fall into the hands of Palestinian fighters (PLO) which operated them against IDF forces during the 1978 South Lebanon conflict. 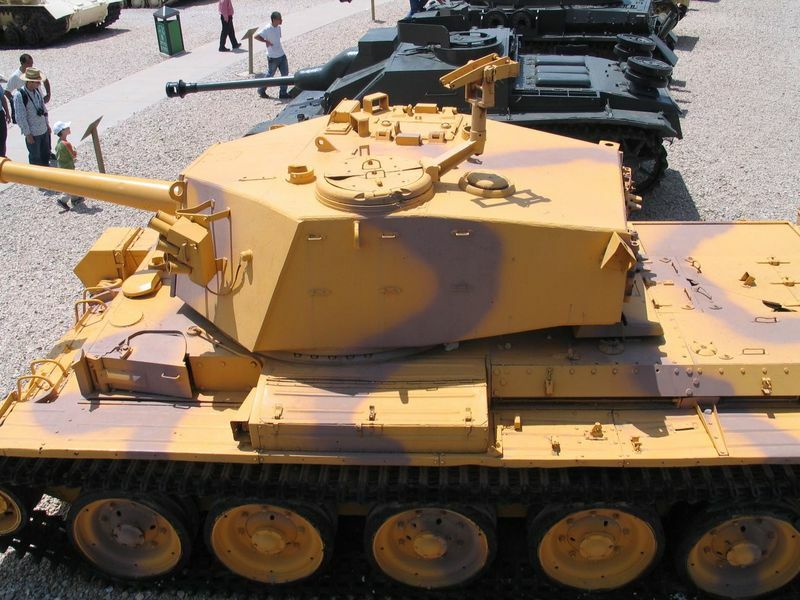 FV 4101 Charioteer tank destroyer. Lebanese Charioteer, PLO, 1985, now preserved. Various color references and liveries of the Charioteer. One correction – It’s a tank, not a tank destroyer. They replaced tank destroyers and SPGs when they entered service. You should check out the article written by David Fletcher in Wheels & Tracks. This highlights that the tank destroyer ID is incorrect, although a common mistake, and explains the vehicle’s actual design and operation. It’s probably the best source of information on the vehicle outside of the Tank Museum archives themselves. Also the provisional user handbook and parts list show it’s designation was Tank, Medium Gun, Charioteer. Why the yellow and purple camo? Could you make a drawing of this scheme? In fact we would need a solid contact inside Latrun to gave some clues about the livery and its accuracy. Sometimes reconstructed patterns are to be taken with a grain of salt. On the other hand it could have been a genuine local improvisation with available colors if carried as such. The thing is, this painting is looking too recent. Yes, you are definitely right there. Museum tanks are often sloppy in their painting, and the shcemed they are painted in are often unhistorical. Generally museums just want to put something on their tanks to make them look acceptable. Look foreward to any updates! Something else about the Charioteer. After the end of their useful life in the Austrian Armed Forces, their turrets were installed in concrete pill boxes, called “PaK FAn” (Panzerabwehrkanone Feste Anlage) and should serve there to destroy Soviet tanks.